School supply packs are on sale now! 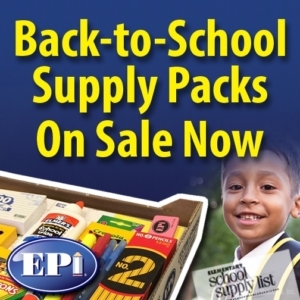 Parents can save up to 40% with school supplies from EPI. Supplies will be delivered before school starts in August. 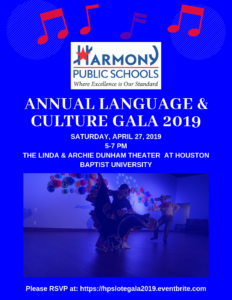 Harmony Public Schools would like to invite HSA-SL parents and students to the Annual Language and Culture Gala which will take place on Saturday, April 27th, at 5:00 pm at The Linda and Archie Dunham Theater at HBU. Please use the link below to RSVP and print your tickets prior to your arrival. 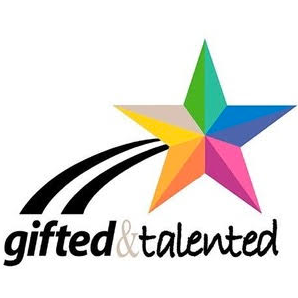 We would like to invite you to our GT Showcase which will take place on April 26th, 2019 at HSA-SL gym between 8:30 am to 10:00 am. Please come and join us to celebrate your child’s hard-work and achievement. Please feel free to contact Ms. Chandler via schandler@harmonytx.org for any questions or concerns. We would like to remind you that during STAAR testing days we are a closed campus. This means, no parents will be allowed on campus and students will NOT be released during the instructional day until testing is complete. Please refer to the Student Handbook page 17. 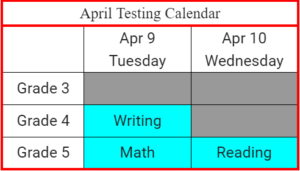 Below is the May Testing Calendar, please plan accordingly. As always we appreciate your support and cooperation! We will be hosting our 1-2 and 3-4 Award Ceremony on May 29, 2019 at our school gymnasium. Please see the breakdown of the grade levels and times below. We are kindly asking parents to not double park as it may result in your car been towed. Please note, dismissal cars will not be allowed on property until 2:00 pm. We are asking to please arrive after 2 pm. Thank you for your cooperation. Harmony Science Academy Sugar Land will have Field Day on Friday, May 3rd for K-5 grade students . Volunteers are needed to help homeroom teachers in a variety of activities such as setting up/tearing-down stations, cleaning up, running activities, filling water balloons, providing snacks/water to students and assisting students from station to station. If you are interested in volunteering please contact your child’s teacher. https://harmonypublicschools.network/hsasl-new/wp-content/uploads/sites/127/2017/10/HSA-Sugar-Land-WHITE-letters-300px.png 0 0 shirleygil https://harmonypublicschools.network/hsasl-new/wp-content/uploads/sites/127/2017/10/HSA-Sugar-Land-WHITE-letters-300px.png shirleygil2019-04-11 14:47:272019-04-11 14:47:27SAVE THE DATE! 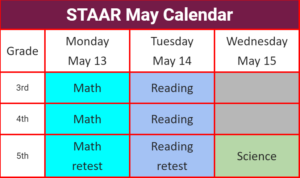 We will be administering STAAR (Math, Reading, Science) test on May 13-15, 2019 for 3rd, 4th and 5th grade students. 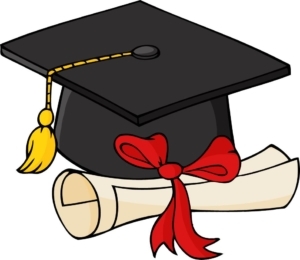 If needed May 16-17, 2019 will be utilized as a make up day for testing absent students. 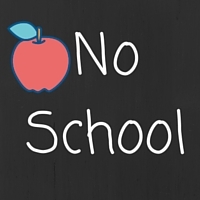 Note: these are closed campus days, no parents will be allowed on campus. Students will NOT be released during the instructional day until testing is complete. Please plan accordingly. In observance of Good Friday, the school will be closed Friday, April 19th. Classes will resume Monday, April 22nd. We will be administering STAAR test TOMORROW Tuesday, April 9th and Wednesday, April 10th for 4th and 5th grade students. Note, April 11th & 12th will be utilized as a make-up day for absent students. – No visitors will be allowed on campus on testing days. – No lunch drop offs will be permitted. Please pack lunch if they do not consume school lunch. – Students must remain in dress code (bring a cardigan). – Students testing will NOT need to bring a backpack to school. – Students may bring a small snack and drink to eat during testing “snack time” only. – Please refrain from placing notes, pens/pencils, etc. in your student’s packed lunch. – No students will be released during the instructional day until testing is complete. Please plan accordingly. By working together, we can make your child’s testing experience positive and successful. Please help us by making sure your child gets a good night’s rest, he/she eats a healthy breakfast, and arrives to school on time. Most importantly, please encourage your child to take the test seriously and to do their absolute best. Thank you for all you do to help your student be successful and for all of your contributions to Harmony Science Academy – Sugar Land. STAAR testing is around the corner. Parents, we would like to ask for your support during these crucial days. 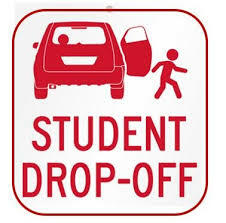 We are in need of parents who would be willing to volunteer during drop off between 7:00 am – 8:00 am. We would love for our teachers to focus on serving your students and start the day free of stress. 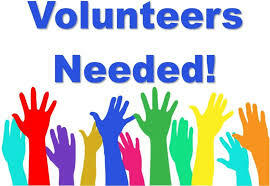 If you would like to volunteer during testing days (April 9th-10th) please contact Ms. Gil @ shirley.gil@harmonytx.org. https://harmonypublicschools.network/hsasl-new/wp-content/uploads/sites/127/2017/10/HSA-Sugar-Land-WHITE-letters-300px.png 0 0 shirleygil https://harmonypublicschools.network/hsasl-new/wp-content/uploads/sites/127/2017/10/HSA-Sugar-Land-WHITE-letters-300px.png shirleygil2019-04-02 14:30:002019-04-02 14:30:00Volunteers Needed!! 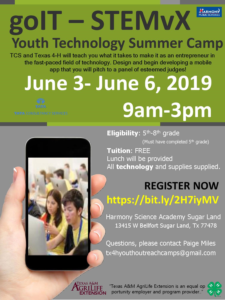 Harmony Science Academy-SL will be hosting a summer camp for our 5th grade students (ONLY). This is a great opportunity for our students to gain more skills in the STEM world. This program is offered free of charge and will run from June 3-6 in our campus. This is just a friendly reminder that Chuck E. Cheese Night is on March 29, 2019 from 3:30 pm to 8:00 pm at 2303 Town Center Dr, Sugar Land, TX 77478. Parents, in order for our school to earn funds, you MUST purchase tokens at the register. Note: Clubs and Tutorials are still in session. 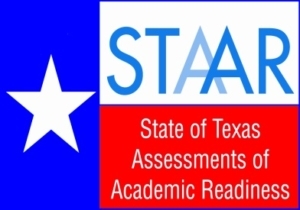 We will be administering STAAR tests on April 9-10, 2019 for 4th and 5th grade students. April 11-12, 2019 will be utilized as a make-up day for absent students. 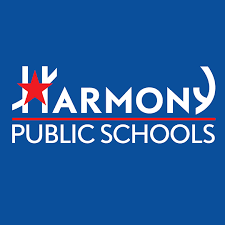 https://harmonypublicschools.network/hsasl-new/wp-content/uploads/sites/127/2019/03/alarm-clock-1.png 488 500 Central Office https://harmonypublicschools.network/hsasl-new/wp-content/uploads/sites/127/2017/10/HSA-Sugar-Land-WHITE-letters-300px.png Central Office2019-03-08 10:58:362019-03-08 11:06:58Spring Forward! https://harmonypublicschools.network/hsasl-new/wp-content/uploads/sites/127/2019/03/Its-Social-Media-Day-1.png 800 800 Central Office https://harmonypublicschools.network/hsasl-new/wp-content/uploads/sites/127/2017/10/HSA-Sugar-Land-WHITE-letters-300px.png Central Office2019-03-07 09:40:392019-03-07 09:47:25We Want Your Feedback! Be Cool Help our School! from 3:30 pm to 8:00 pm at 2303 Town Center Dr, Sugar Land, TX 77478.
https://harmonypublicschools.network/hsasl-new/wp-content/uploads/sites/127/2017/10/HSA-Sugar-Land-WHITE-letters-300px.png 0 0 shirleygil https://harmonypublicschools.network/hsasl-new/wp-content/uploads/sites/127/2017/10/HSA-Sugar-Land-WHITE-letters-300px.png shirleygil2019-03-06 13:40:262019-03-06 13:40:26Mark your Calendars! Every Hero Needs a Squad! Harmony Science Academy-Sugar Land is partnering with the Leukemia Lymphoma Society “Pennies for Patients” in efforts to improve the quality of life of patients. HSA-SL is committed to our community therefore we are launching a fundraising campaign from March 1st through March 29th. Students will have an opportunity to raise funds for patients that suffer from leukemia, lymphoma, Hodgkin’s disease and myeloma. More information will be sent home with students. 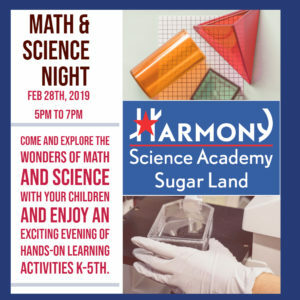 Harmony Science Academy – Sugar Land is sharing this information about the district and your child’s campus with you as part of its obligations under the federal No Child Left Behind Act of 2001 (NCLB). Federal Report Cards for the state, the district, and each of the district’s campuses are now available on the district’s website at this link: https://new.harmonytx.org/academics.php or are also available on the Texas Education Agency’s website at: https://tea.texas.gov/Finance_and_Grants/Grants/Federal_Report_Card/. Harmony Science Academy – Sugar Land will be closed for students on February 27th due to parent/teacher conference day. 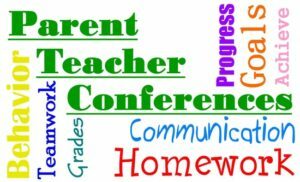 Parent conferences will be held from 9:00 am 2:30 pm. It is highly recommended you schedule an appointment with your child’s teacher, if you haven’t already done so. Please note, conferences are no more than 10-15 min long in an effort to accommodate all parents. Our Scholastic Book Fair is a reading event that brings kids the books they want to read. We’ll receive a wonderful selection of engaging and affordable books for every reading level, and all purchases benefit our school! We are looking forward to seeing you at the book fair! It will run from February 26th through March 5th. Book Fair will be open on the Parent Teacher Conference Day as well. It is time to use those piggy banks! We will be administering Mock STAAR tests on February 20-22, 2019 for ALL 2nd – 5th-grade students. We kindly ask that your child is in attendance during these days as this test will be a grade in the gradebook. Additionally, during Mock STAAR, we do our best to replicate the testing situation for the students to that all rules and guidelines according to TEA will be implemented. By working together, we can make your child testing experience positive and successful. Please help by making sure your child gets a good night’s rest, he/she eats a healthy breakfast, and arrive at school on time. Most importantly, gently encourage your child to take the test seriously and to do their absolute best. Thank you for all you do to help your student be as successful as possible, and for all of your contributions to Harmony Science Academy – Sugar Land. 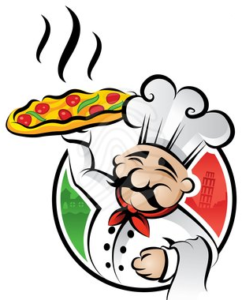 Harmony Science Academy Sugar Land is happy to announce that we will be providing Papa Johns Pizza on Wednesday’s during lunch. We are kindly asking to please add funds to your students lunch accounts. As a friendly reminder, any student with a negative balance exceeding -$15.00 will receive an alternative lunch. Please feel free to make a payment online through school cafe (https://www.schoolcafe.com/) or stop by the front office to make a payment. Please note, Harmony Science Academy-SL ONLY accepts checks, money orders, credit/ debit card. NO CASH will be accepted! Students are not allowed to purchase a la carte if their account has a $0 or negative balance. If students purchase milk, we will allow them one charge as a courtesy. Our Lunch Clerk will inform the student and parent that there must be funds in the meal account for a la carte purchases. The next attempt to purchase a la carte items will be denied until the account shows a positive balance. Feel free to reach out to Ms. Villagomez with any questions or concerns, via email jvillagomez@harmonytx.org phone (281) 265- 2525 or by stopping by the front office. 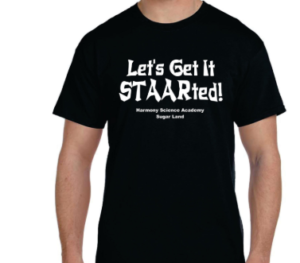 Harmony Science Academy Sugar Land will be selling STAAR t-shirts starting Tuesday February 19th while supplies last. Please stop by the front office and get a “Let’s Get It STAARted” t-shirt for your student(s) K-5 for as low as $6.00. 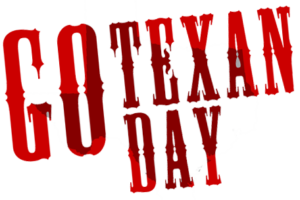 Students will be allowed to wear the t-shirt ONLY on Thursdays with jeans and during STAAR testing days. Show your support and school spirit by purchasing this year’s STAAR Spirit Shirt. Please note, this is not a school fundraiser. Note: If you purchased this shirt last year, you do not need to buy a new one. 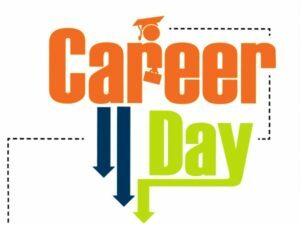 Career Day is fast approaching. Our students will have an opportunity to see and understand the value of their education and learn more about the variety of options for them. If you would like to share your career with our students 3rd-5th grade please reach out to Ms. Gil at shirley.gil@harmonytx.org. We hope you can be a part of this event. 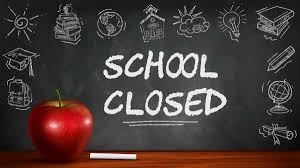 Harmony Science Academy – Sugar Land will be closed Friday, February 15th and Monday, February 18th. Classes will resume Tuesday, February 19th. Please note, tutorials for Saturday, February 16th are still on. Free Dress Picture day is coming!! On Tuesday, February 12, 2019, we will have Free Dress Picture Day. Students are allowed to have free dress, school dress code rules apply. No orders are taken prior to pictures being taken. The flyers that will be sent home show choices for a different backgrounds, please fill out the flyer and return to your students homeroom teacher if you would like to choose the background used. A proof of the photo will be sent home a few weeks after the picture day for orders to be made. We are looking forward to seeing big smiles!! 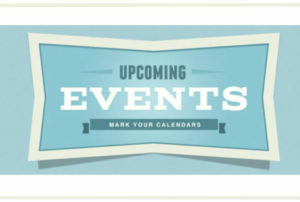 Here are a few reminders for this week’s happenings. 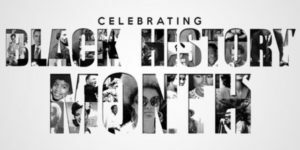 On February 8, 2019 we will be celebrating prominent African Americans in history with our annual Black History Parade. We invite all parents to join us at 8:30 am in the school parking lot to enjoy the parade and hard work of the students and teachers. The parade will begin inside the building, coming outside and around the front of the school, and conclude back inside the building. Please note, parents will not be allowed in campus. We look forward to seeing you for this event. We will be celebrating the 100th day of school on Thursday February 7th. We encourage our K-2 parents to get involved with your child in planning for this day and be CREATIVE! For more information, contact your child’s teacher. Parents! 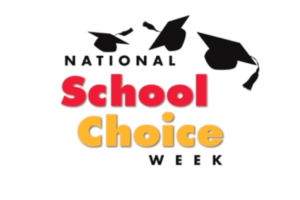 You put in the effort to ensure your child is successful and we want to recognize you. The Parent of the Year (POY) Award is a way to recognize a parent(s)/caregiver(s) who have made an impact on their child’s success, as well as, other significant contributions to the school. 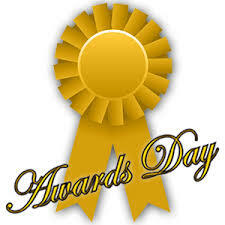 Parents will be nominated for a chance to be awarded as the Parent of the Year at the campus and district levels. Nominations are open! For more information, visit your campus engagement coordinator or an administrator. https://harmonypublicschools.network/hsasl-new/wp-content/uploads/sites/127/2017/10/HSA-Sugar-Land-WHITE-letters-300px.png 0 0 shirleygil https://harmonypublicschools.network/hsasl-new/wp-content/uploads/sites/127/2017/10/HSA-Sugar-Land-WHITE-letters-300px.png shirleygil2019-02-04 08:38:182019-02-04 08:38:18Happenings! 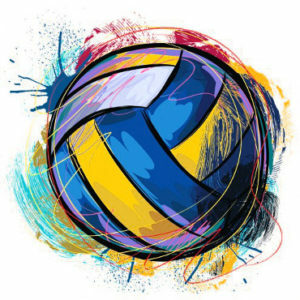 We will be hosting our second Parent/Staff Volleyball Game 2018-2019 on March 1st at 5:00 pm. Please click on the link below to RSVP. On February 8, 2019 we will be celebrating prominent African Americans in history with our annual Black History Parade. We invite all parents to join us at 8:30 am in the school parking lot to enjoy the parade and hard work of the students and teachers. The parade will begin inside the building, coming outside and around the front of the school, and conclude back inside the building. Please note, parents will not be allowed in campus. We look forward to seeing you for this event. https://harmonypublicschools.network/hsasl-new/wp-content/uploads/sites/127/2017/10/HSA-Sugar-Land-WHITE-letters-300px.png 0 0 Central Office https://harmonypublicschools.network/hsasl-new/wp-content/uploads/sites/127/2017/10/HSA-Sugar-Land-WHITE-letters-300px.png Central Office2019-01-28 09:45:232019-01-28 09:53:33Make Sure Your Voice is Heard! 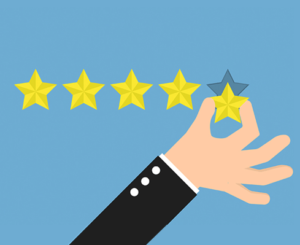 Please take a minute to like us and write a review about the success of our school. We would like to inform you that after school tutorials will be cancelled tomorrow Friday, January 25th due to setting up for our STEAM/International Festival. Please note that we are still having after school clubs that run between 3:00 pm – 3:45 pm. 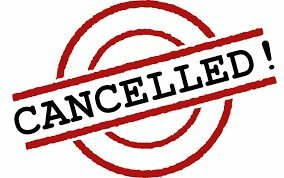 However, the clubs that run between 4:00 pm- 5:00 pm are cancelled as well. You, your family and friends are cordially invited to our STEAM and International Festival that will be held on Saturday, January 26th from 9:30 am to 1:00 pm. Don’t Forget to come and show your pride by wearing a traditional attire from your culture and let’s celebrate the DIVERSITY at HSA – SL. Please join us at 9:30 am as we do ribbon cutting with all of our VIP members outside the building by the cafeteria doors. As a friendly reminder, please accompany your student during the festival as children cannot be left unattended. the yearbook is now $37.00. 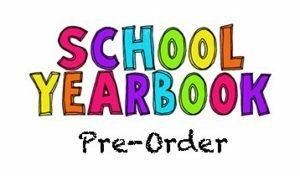 All yearbooks will be hardcover with full color photo pages, including an autograph page for friends and teachers to sign. Yearbooks are customizable, see the packages available online. 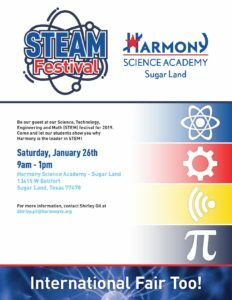 STEAM Festival 2019- Saturday, January 26 marks Harmony Science Academy ‘s Fourth Annual STEAM Festival where students and their families have an opportunity to explore the wonders of science, technology, engineering, mathematics and Art (STEAM) through science presentations, hands on experiments and activities. In addition to hosting our STEAM Festival, we will take the opportunity to celebrate the diverse cultural backgrounds of our students through our International Festival. HSA-SL prides in embracing diversity as we create an atmosphere of respect and appreciation by highlighting various countries and cultures across the globe. Please join us in welcoming community leaders and congressman Olson as we do the ribbon cutting at 9:30am. You will be able to enjoy international cuisine, music, dance, authentic clothing and arts from different cultures. Come and show your pride by wearing a traditional attire from your culture and lets celebrate the DIVERSITY at HSA – SL. Note: Students have the opportunity to earn FREE DRESS Pass- they will need to fill out the STEAM and IFEST passport (passports are given at the ticket booth. Don’t forget to claim it! ), the passport must be turned to Mrs. Wong at the Japanese booth. 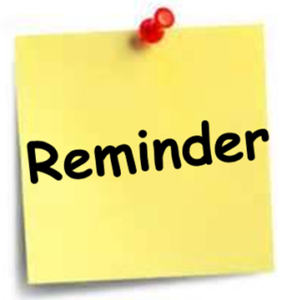 This is a friendly reminder that we will have tutorials TOMORROW Saturday, January 19th. Please drop your students off at the front office as we will have UIL competition in the cafeteria. This is a friendly reminder that our school will be closed tomorrow Friday, January 18th due to District Staff Development and Monday, January 21st. due to Martin Luther King Jr. Day. Classes will resume Tuesday, January 22nd. Note: We will have tutorials Saturday January 19th.